Tysons Corner Center is Washington, DC's choice for selection, style and fashion, located just seven miles west from the Nation's Capital. 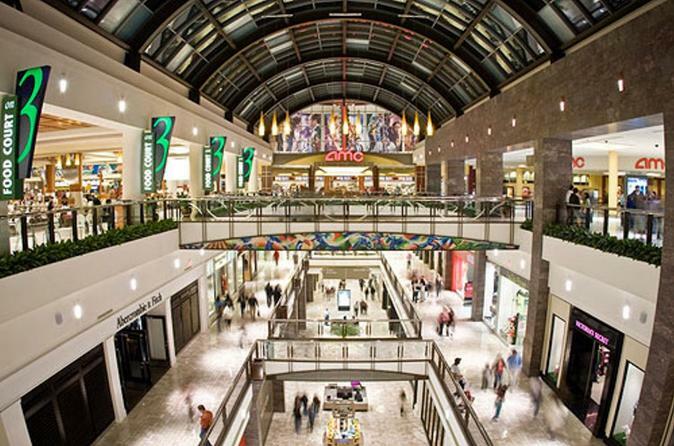 As one of the top-10 shopping centers in the country, Tysons Corner Center offers an unbeatable mix of more than 300 department and specialty stores. Some of Tyson's retailers includes Nordstrom, Bloomingdale’s, Macy’s, Lord and Taylor, American Girl, L.L. Bean, Louis Vuitton, Gucci, Michael Kors, Lacoste, Spanx, Apple, the Disney Store, and many more. Tysons Corner Center also offers a 16-screen, stadium-seating and IMAX-3D, AMC Theatre, fine and casual dining restaurants, a food court and a National Geographic sponsored children’s play area. The new outdoor Plaza at Tysons Corner hosts events throughout the year and provides a number of eateries with cafe seating. The new 310-room luxury Hyatt Regency Hotel at Tysons Corner Center is the perfect respite from a busy day of shopping. This 'Shop and Explore Tour' covers all that Tysons Corner Center has to offer. Receive special gifts in addition to great deals on shopping at nearly 300 retailers featured in the Visitor Rewards booklet with more than $500 in savings. Finally, continue the journey into the Metro DC area with a complimentary SmartTrip Metro Card.